Kesari took a good start at the domestic box office. The film collected around ~18.55 cr. on its first day at the box office. The film had released after a quiet past week at the box office, with small films releasing and failing to make any noise at the box office. Past week was almost a non-release week, and Kesari appears to have taken advantage of that, and has put up good opening day numbers. The film released on the occasion of the festival 'Holi', which is a partial holiday. As a result, the film took a slow start in the morning (as 'Holi' is mostly celebrated in the morning by the young cinema-going crowd) with less footfalls, and also reduced number of morning shows, resulting in an overall low occupancy of around ~15% in the morning. However, Kesari witnessed an amazing increase in the occupancy rates in the afternoon (~30%) and the evening shows (~65%), and the number of shows had also increased significantly compared to the morning time. But, the occupancy in the post-10:00 PM night shows slightly reduced with the next day being a normal working day. Kesari had released alongside the action-comedy film 'Mard Ko Dard Nahi Hota', but Kesari was not all impacted by MKDNH, as both belonged to completely different genres, and Kesari being a far bigger film in terms of both production values and star-power. 'Mard Ko Dard Nahi Hota' features a new-comer actor, and is released only in metros, Tier-1 cities and in a few selected number of cities in a limited number of screens. Kesari opened to average advance bookings on its first day, with Delhi NCR and Hyderabad leading the bookings, and Mumbai, Pune, Bangalore being dull. 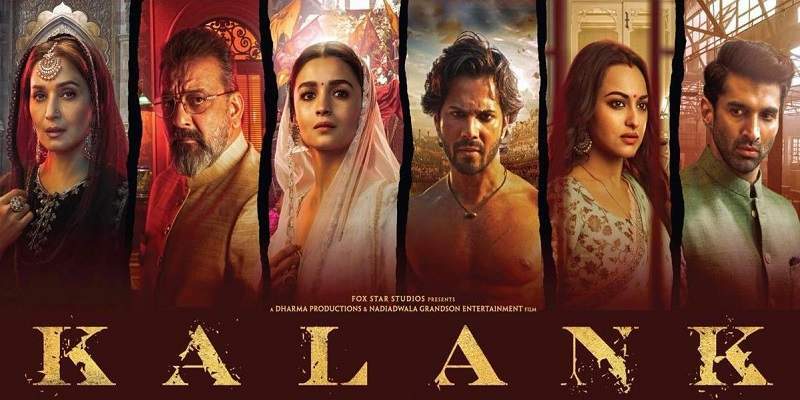 The film performed well in the state of Punjab, specially in Jalandhar, Ludhiana and Amritsar, where good number of shows were sold-out, and ran to packed houses. And, overall multiplexes performed better than the single screens on Day 1 at the box office. Kesari opened to mostly positive reviews from the critics. The audience word-of-mouth, however, appears to be mixed going by the initial reports. 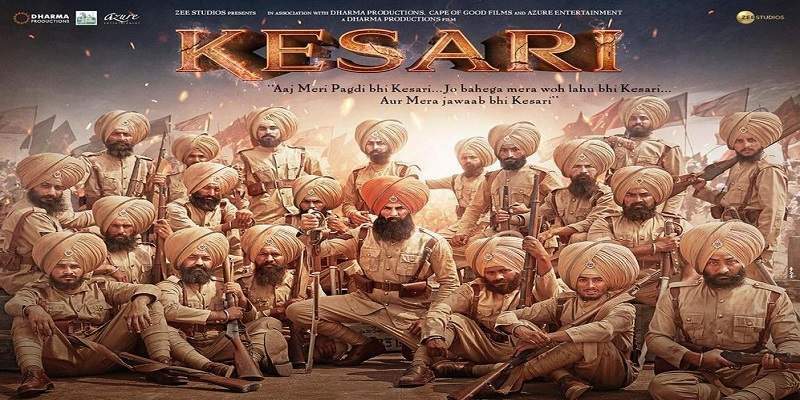 Kesari is a period war drama directed by Anurag Singh. The film features Akshay Kumar and Parineeti Chopra in the lead roles. Total Screens - Around ~3500 screens all across India. Kesari released along with the action-comedy film 'Mard Ko Dard Nahi Hota', and managed to bag the most number of screens this weekend. SEE - Kesari Screen Count Report: From 14 Cities All Across India. Day 1 - 21.06 cr. Day 2 - 16.75 cr. Day 3 - 18.75 cr. Day 4 - 21.51 cr. Day 5 - 8.25 cr. Day 6 - 7.17 cr. Day 7 - 6.52 cr. Day 8 - 5.85 cr. Day 9 - 4.45 cr. Day 10 - 6.45 cr. Day 11 - 8.25 cr. Day 12 - 3.27 cr. Day 13 - 2.75 cr. Day 14 - 2.42 cr. Day 15 - 2.07 cr. Day 16 - 1.65 cr. Day 17 - 2.62 cr. Day 18 - 3.23 cr. 18 Days Total - 143.02 cr. NBOC (Net Box Office Collection).